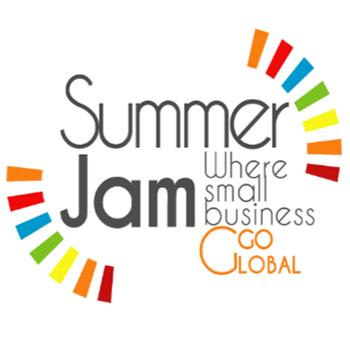 Two Middlesex University Business School students will be travelling to the Summer Jam 2015 international entrepreneurship conference in Croatia after winning the MDX+PSU Innovation Challenge, taking place as part of Global Entrepreneurship Week. Ogonna Amukamara and Elena Burykh, along with Penn State mechanical engineering students Matt Ciarrocca and Matthew Malencia, beat three other transatlantic teams with their proposal to help school girls in Ghana overcome personal health issues. The four teams taking part were asked to propose a solution to a problem within one of four categories – Green Technology, In the Home, Social Entrepreneurship, and Transportation – and create a short video outlining their ideas. Having identified that 96 per cent of girls in Ghana miss school while on their periods as a result of bullying – which leads to one in ten African girls dropping out of school altogether – the winning foursome set about creating a long-term, sustainable solution to the problem. Using Matt and Matthew's engineering expertise and drawing upon Ogonna and Elena's business acumen, they proposed to provide local communities with the resources, money and knowledge needed to construct low-cost machines to make effective, yet cheap sanitary pads. This would be supplemented by a curriculum to teach girls and boys about puberty and packaging tips promoting good hygiene practices and the importance of getting an education. Commenting on the winning idea, Senior Lecturer in Entrepreneurship and Innovation Dr Simon Best, who heads up the Enterprise Development Hub at Middlesex, said "The video was clear and captivating from the opening and the problem is a real and critical one that profoundly impacts on many young girls, depriving them of a fuller life. "Their solution is one that puts control into the girls' hands."